Traditional Day and lunch programme was organized on account of the annual social celebrations from 11.00 am to 3.30 pm. 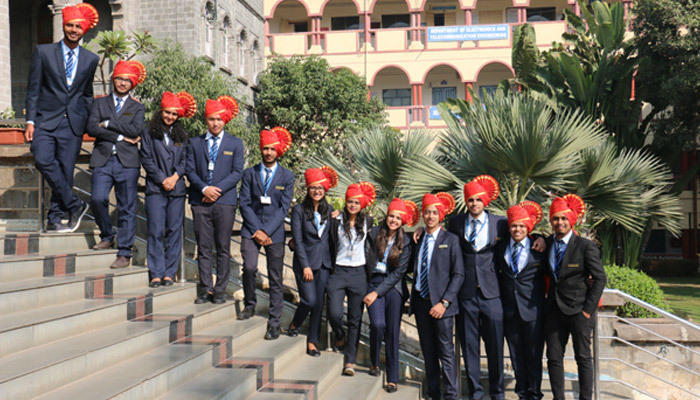 All the students and staff follows Traditional Day and dressed in Traditional and festive cultural attire and actively took part in the day’s good cheer. 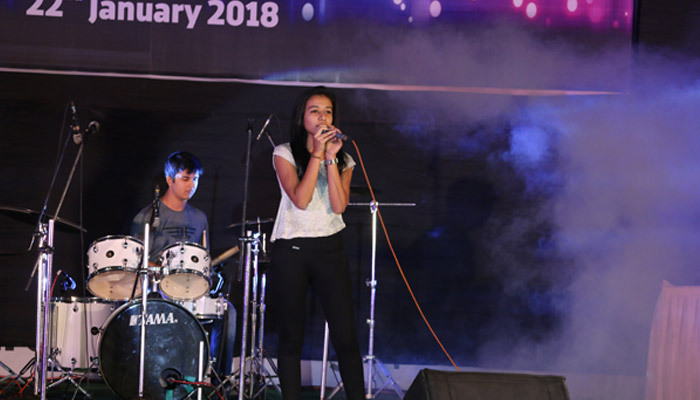 A cultural programme was organized on the same day from 5.00 pm to 8.30 pm. 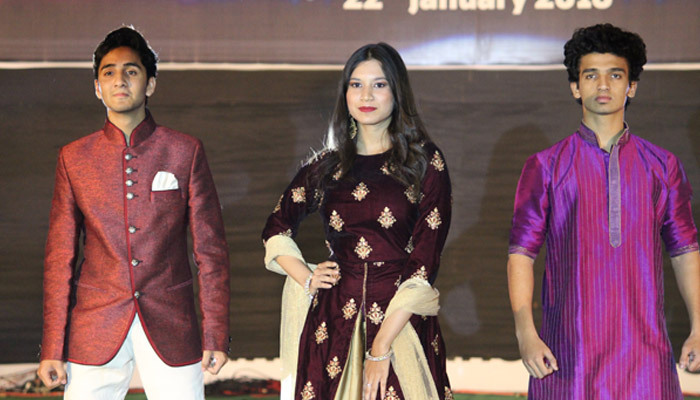 Students displayed their artistic talents through various programmes such as dance, solo singing, drama, fashion show etc. Enthusiastic response was given by the students for the same following good discipline. 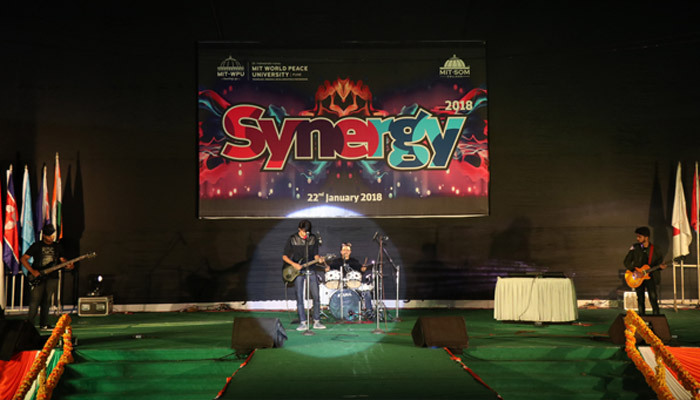 ‘Synergy 2018’ was a resounding success and was conducted efficiently. 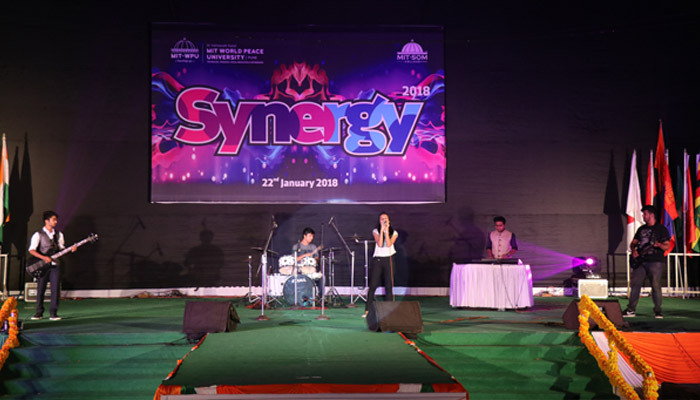 Students, faculty and staff gave their valuable contributions towards the triumphant completion of the Annual Social Gathering. Chief Guest - Hon. Captn. 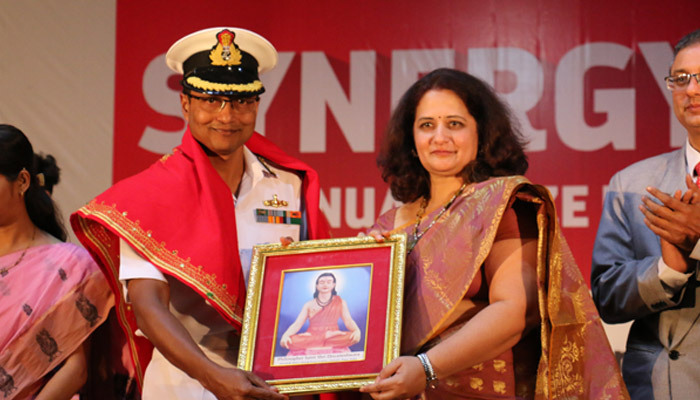 Devanshu Rastogi, Battalion Commadant, National Defence Academy Pune. Guest of Honor -Hon. Shri. 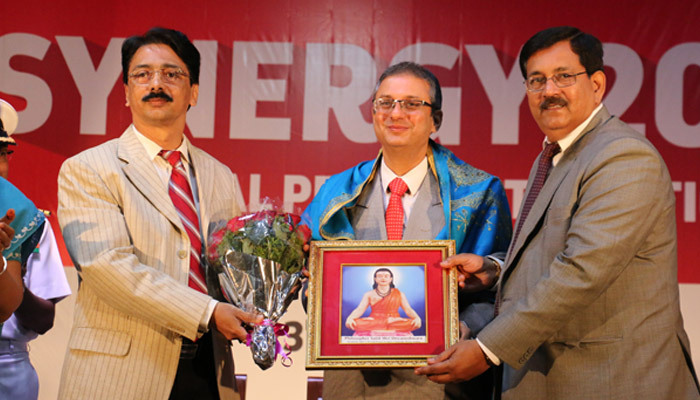 Yazdi Marker, Area Manager, Jet Airways India Ltd. Maharashtra & Goa. 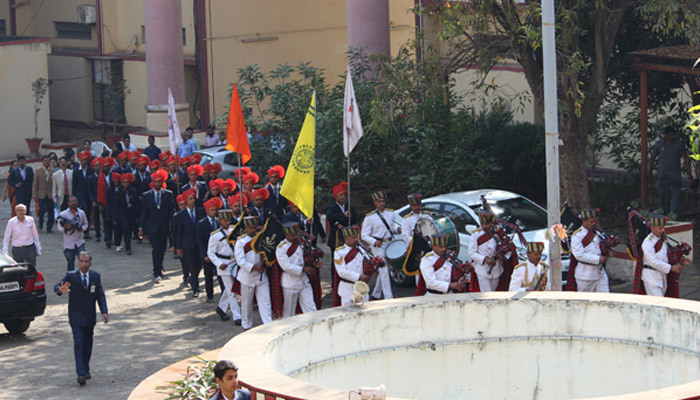 The programme commenced with the Grand Procession from Dnyaneshwar Hall to the Swami Vivekananda Auditorium . 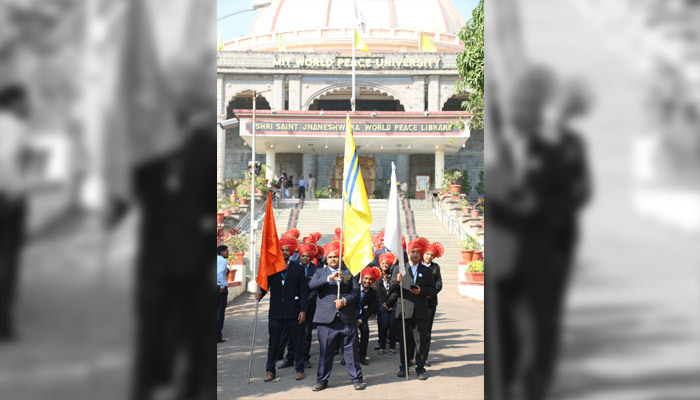 The formal function was started with a rendition of the World Peace Prayer. 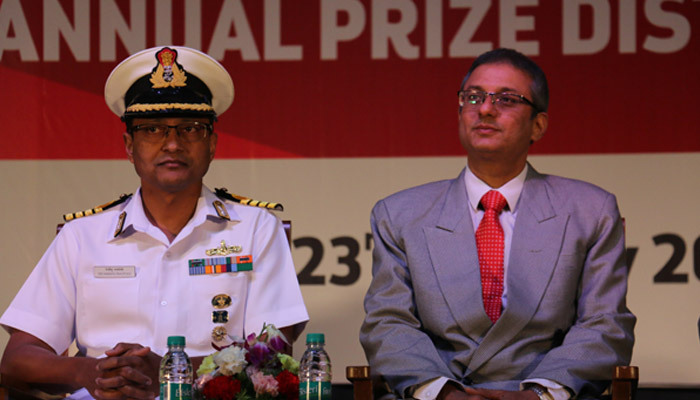 Dr. R.M.Chitnis, Principal, warmly welcomed the guests and the audience. 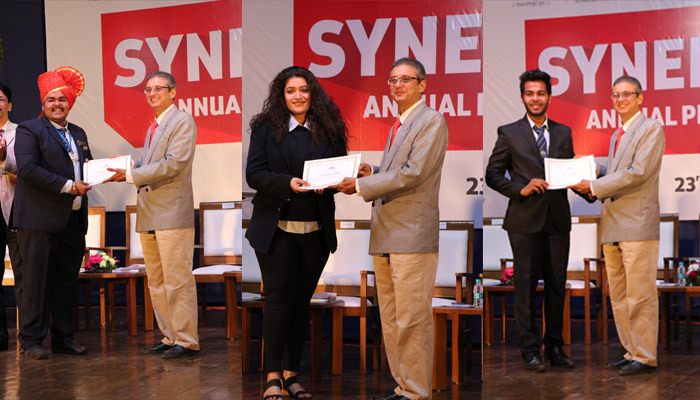 The student activity report and the annual report were read out by the General Secretary Mr. Akhilesh Gosavi. 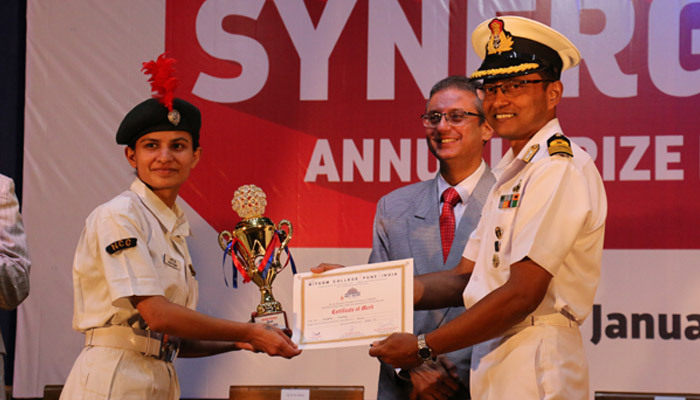 Certificates and Prizes were then distributed to the students through the hands of the Chief Guests for the outstanding performance in Toppers and University Gold Medalist in Academics, Best Outgoing Students of the each Course, NSS Best Volunteer, Annual Gathering Competitions. 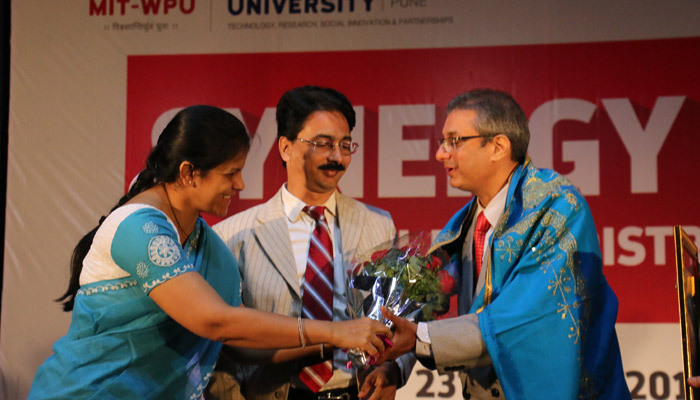 After the Prize Distribution Ceremony, Hon. Capt. 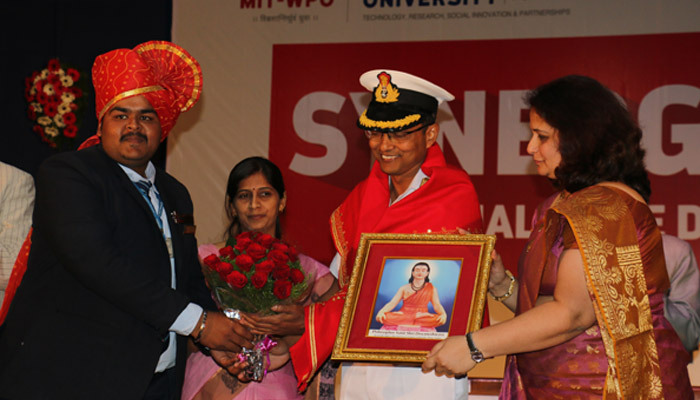 Devanshu Rastogi, Chief Guest and Shri. 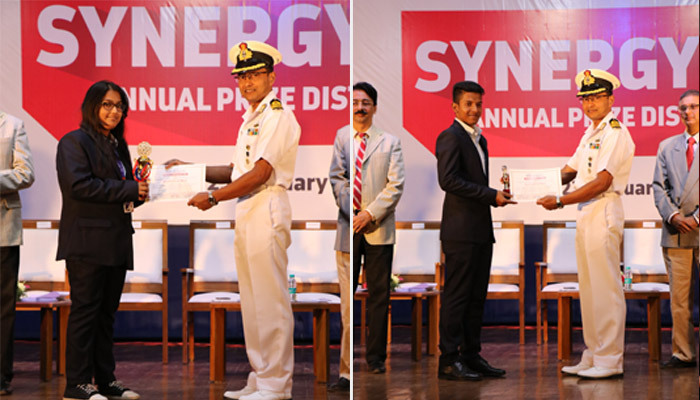 Yezdi Marker,Guest of Honor addressed and congratulated the students and praised them for their active participation. 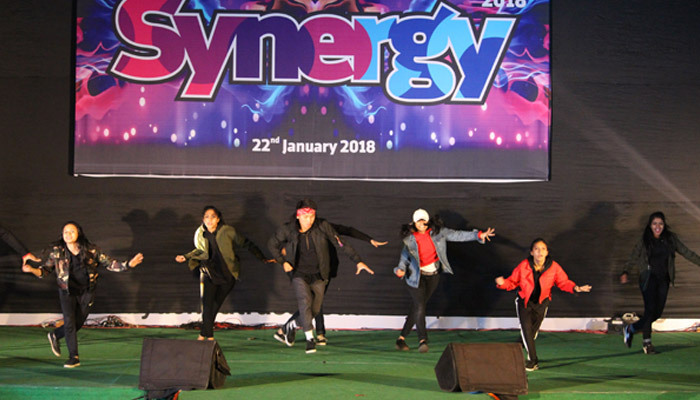 They urged the students to maintain a proportionate and rational balance between academic and other extra-curricular activities. They also guided the students about competencies required in any job. 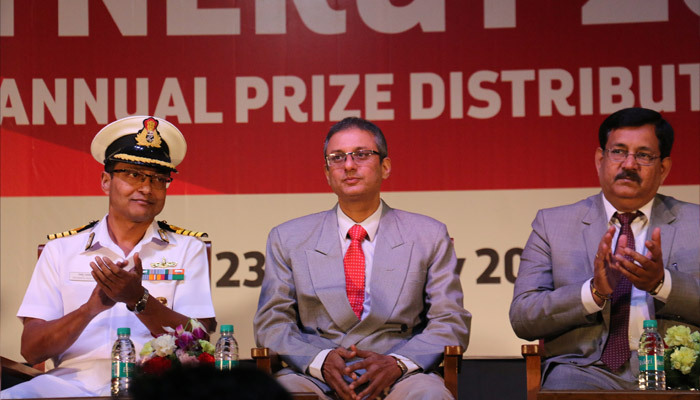 They further urged the students to consistently maintain a high degree of excellence and quality in all the activities that they undertake in life. 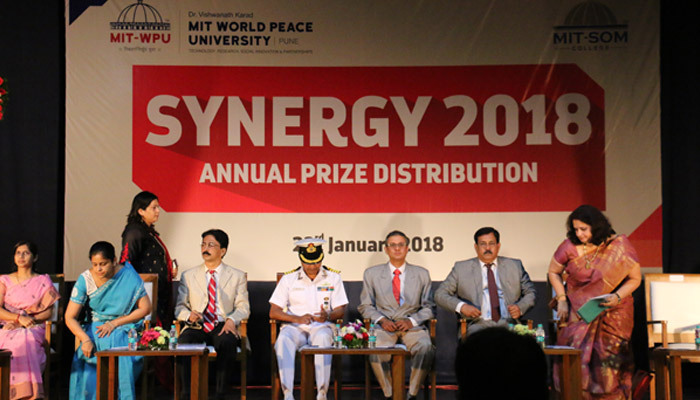 The Programme came to an end with the Vote of Thanks by Prof. Hemant Bhise, Convenor – Synergy 2018 on behalf of MITSOM College and MITWPU followed by the ‘Pasayadaan’.